Enfold theme can be easily customized to look unique and beautiful, check out some of the enfold demos. The demo sites can be installed with just one click and it is easy to add your content and build upon it. Your WordPress theme can be customized to look and feel different from other sites by changing the default theme styles and settings. It may be a time-consuming process, but once you are happy with the changes it is recommended to back up and save your theme settings from Enfold > Import/Export tab. Importing a demo site and customizing it is a great way to save you some development time. 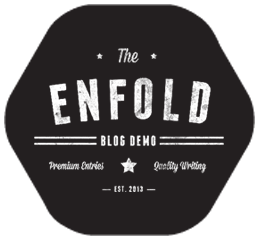 The demo sites can be imported from Enfold > Import Demo. NOTE: Most of the demos can be imported with all the demo contents. However, for some demos due to copyrights issue, you may have to add replacement images. Also, note that importing demo sites will reset the theme settings. How to import demos without losing the theme settings. First, export the theme settings from Enfold > Import/Export tab. Import the demo theme of your choice. Overwrite the new settings with your old setting by importing back the settings file we saved in step 1. Import only the demo content using XML files. Import the demos manually using the XML files provided in the theme. This ensures that only the demo pages and posts are imported and not the theme settings. Manual Demo Import: If for some reason demo import from the theme options does not work for you, the demo site’s can be manually imported using the XML files provided in the theme. To import the XML demo data manually go to Admin > Tools > Import > WordPress (Install the WordPress Importer if it is not installed). Once you choose the demo file to import, select the checkbox option “Download and import file attachments” while importing. Please note this will not import the theme settings, you have to set them up manually and upload any images that are missing from backend once the XML file is imported. If WordPress fails to import the XML file, an alternate solution to try is to import the demo on a local server like Xampp and move the demo site to your live server using a WordPress migration plugin. It is recommended not to perform this on a live site instead create a staging site or setup a localhost site. Import the required demo on your localhost or staging site. Edit and personalize the demo content or the page on your staging site to suit your live site. Enable debug mode on the staging site. 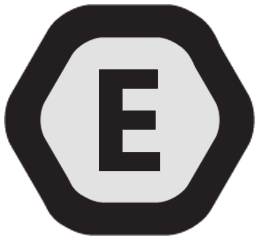 Copy the element shortcode from the page. Add the shortcode to your live site. Update the image or videos links if required. 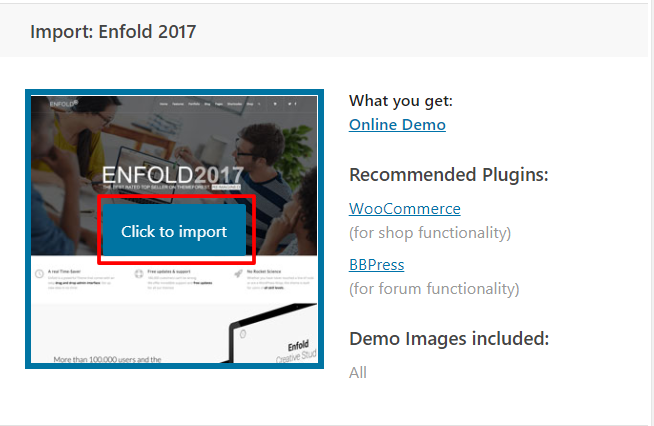 After importing the demos if your site is not displaying the demo site please check if a static homepage is set in WordPress Dashboard > Settings > Reading – if yes please deselect the static page option and select the correct homepage in Enfold > Frontpage Settings. Importing the demo content won’t reproduce the demo page exactly, but it imports the pages. Some of the content like images, etc, might not be imported due to license requirements and limitations of the import script, such as dynamic templates aren’t supported by the demo content importer. Everything on the demo site is a combination of Advanced layout builder elements like Headings, Product Slider, Horizontal Ruler and much more. Importing a demo on a live site, where you have already set up pages, may cause issues and overwrite your current changes/settings so it isn’t recommended. The best way to see how things are set up in the demo is to create a test installation of WordPress, install the theme and then import the demos. This will install basic pages, posts, products and change all the settings to what the demo has. If the demo files fail to import, please set a higher memory limit in WordPress config file and if possible increasing the memory on the hosting server. Access wp-config.php file in the root directory and add the below line to increase the WordPress memory limit. For a detailed explanation please check WordPress Codex. If you notice an error message “Failed to Import media” or ” Media already exists” basically the theme is saying that the files you are trying to import already exist so it is not able to import again. Please remove the old demo files by using a plugin like Database Reset (warning all content will be deleted from your site). We recommend trying this only on new installation without any content.